When designing critical structural components, computer based simulation tools enable engineers to rapidly assure factors of safety. These modern software codes help prevent bridge collapses, assure that aircraft can easily sustain the most extreme turbulence, and even keep roofs from collapsing under high snow loads. Students at the Northeast Wisconsin Technical College in Green Bay, WI recently had the opportunity to work through the entire progression of this type of analysis. 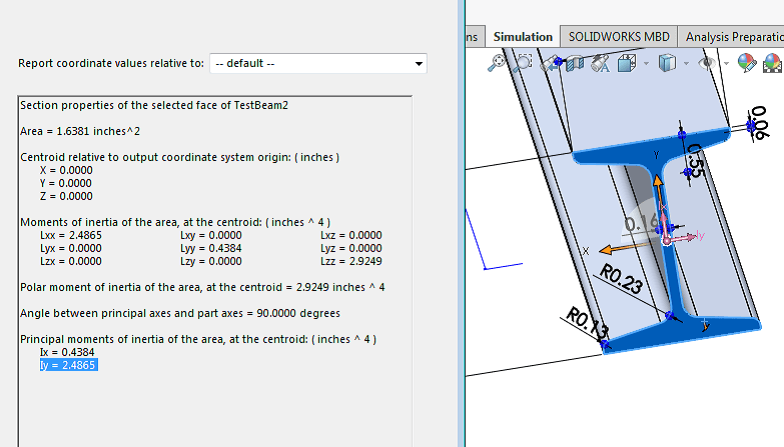 They first imported solid models into SolidWorksTM Simulation. They then simulated loading scenarios and arrived at predicted stress and strain values. In a typical educational setting, a report is generated on the software findings, and that is the end student deliverable. Mr. Justin Lemke, a Mechanical Design instructor at the Northeast Wisconsin Technical College however, had his students take the next step. Following the software exercise, the students set up a Turbine Technologies Ltd. test rig, called TrueStructuresTM , to measure the actual results of the simulated loading conditions on real components. They then compared measured values to those that were computer derived. Upon review of their paper, Turbine Technologies personnel made a few observations too. Kevin Carlson, product applications specialist at Turbine Technologies, said: “There are thousands of design students every year that are learning to use some very powerful simulation tools, but most of them rarely get to verify those calculations with a real structure. Our TrueStructures™ lab provides a structural frame with a built-in loading apparatus, 3 strain gauge equipped test elements (I-Beam, tube, and an actual aircraft wing) and the electronic solid models of those elements. With this turnkey device, students can readily compare and verify predicted results with actual values. Mike Kutrieb, a mechanical engineer with TTL went on to state: “Simply put, real-world exercises like this are very valuable to students. The end result is that they learn about mistakes that can creep in when using simulation tools. Items like proper material selection within the software tool, heat treat conditions, rigidity provided by properly mounting the real components, and ambient temperature variations in readings of strain gauges, all play a critical role in obtaining accurate results. We think that mechanical design courses are greatly enhanced by combining simulation with instrumented, real world devices".